'I went & sat with W & walked backwards & forwards in the Orchard till dinner time - he read me his poem. I broiled Beefsteaks.' Dorothy Wordsworth's journals are a unique record of her life with her brother William, at the time when he was at the height of his poetic powers. Invaluable for the insight they give into the daily life of the poet and his friendship with Coleridge, they are also remarkable for their spontaneity and immediacy, and for the vivid descriptions of people, places, and incidents that inspired some of Wordsworth's best-loved poems. The Grasmere Journal was begun at Dove Cottage in May 1800 and kept for three years. Dorothy notes the walks and the weather, the friends, country neighbours and beggars on the roads; she sets down accounts of the garden, of Wordsworth's marriage, their concern for Coleridge, the composition of poetry. The earlier Alfoxden Journal was written during 1797-8, when the Wordsworths lived near Coleridge in Somerset .Not intended for publication, but to 'give Wm Pleasure by it', both journals have a quality recognized by Wordsworth when he wrote of Dorothy that 'she gave me eyes, she gave me ears'. 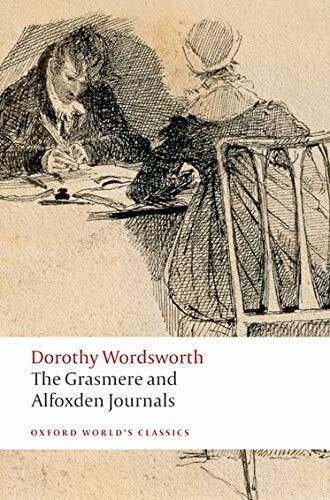 This edition brings the reader closer to the hurried flow of Dorothy's writing and includes rich explanatory notes about the places and people described in the journals. ABOUT THE SERIES: For over 100 years Oxford World's Classics has made available the widest range of literature from around the globe. Each affordable volume reflects Oxford's commitment to scholarship, providing the most accurate text plus a wealth of other valuable features, including expert introductions by leading authorities, helpful notes to clarify the text, up-to-date bibliographies for further study, and much more.